The US film's distributor Lionsgate donated for auction four tickets to attend the Premiere and after party of 'American Ultra' - in Los Angeles or New York on August 17 or 18 - location & date to be determined. CharityBuzz is hosting the auction, and the proceeds will benefit the Crossroads School for Arts & Sciences. "You and 3 friends will enjoy the premiere to Lionsgate's much-anticipated film American Ultra in August 2015. 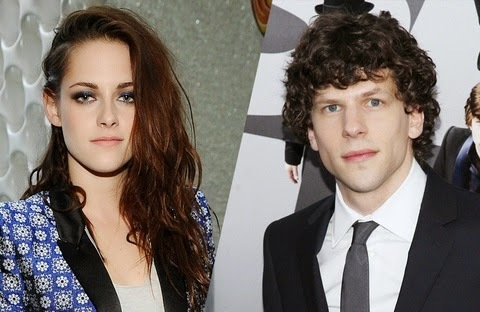 Afterward, join the star-studded cast, which includes Jesse Eisenberg, Kristen Stewart, Connie Britton, Topher Grace, John Leguizamo, Bill Pullman, Walton Goggins, and Tony Hale at the film’s after-party. It's the "ultra" experience! Premiere date to be determined."